A four day Sthanik Karyakarta Prashikshan Shibir was organised by Vivekananda Kendra Kanyakumari (Odisha Prant–Bhanja Vibhag) at Brahmapur from 29th May to 1st June 2014. 11 brothers and 3 sisters from Parlakhemundi, Brahmapur and Banpur participated in the camp. The lectures were on the topics like; Swami Vivekananda, Punyabhumi Bharat, Story of VRM, Vivekananda Kendra, Samparka. The Swadhyaya Varga topics were Punyabhumi Bharat (Rousing call to Hindu Nation) and an interview with Brahmachari Sankarshan Chaitanya (Chinmaya Mission). The Patheya topics were Karyapaddhati, Swadyaaya Pariksha, Yuva Sammelan. 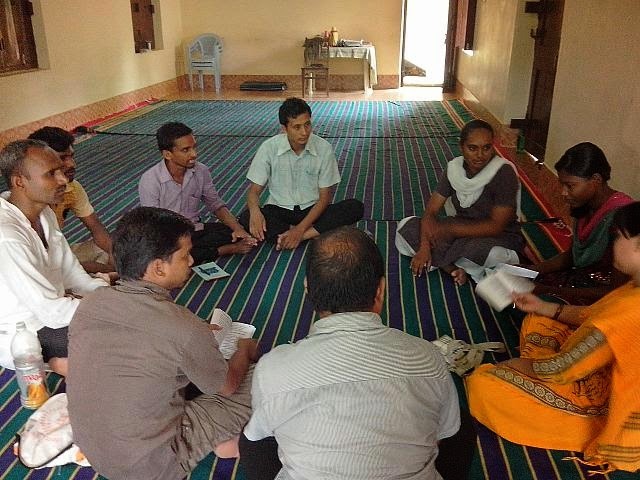 The emphasis was given on Karyapaddhati, the special training was given for conducting Samskar vargas. The karyakartas rresolved to start new samskar vargas and yoga satras in the respective places.